F. Stephen Sheets was born in Evansville, Indiana. 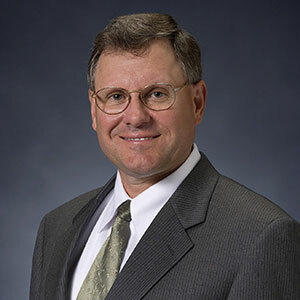 Steve received his undergraduate education at St. Meinrad College and his Juris Doctor from the University of Notre Dame in 1982 . He was admitted into the bar in 1982. In 1999, Steve was the 129th Attorney in the United States to be certified as an Elder Law Attorney by the National Elder Law Foundation. Steve and his wife Helen have been married for over 40 years. They have three children: Veronica, Christina, and Andrew. They also have 3 grandchildren: Jake, Easton, and William. Steve enjoys giving back to the local community. Steve served as the North Side Kiwanis Club President from 1988-89 and was an active member with the organization until 2017. Steve was a director of the Evansville Civic Theater from 1994-1997 and a director of the Evansville Parks Foundation from 1996-2004. Steve is currently on the Board of Directors for the Evansville Philharmonic Orchestra. Steve's hobbies include swimming, biking, running, hunting, archery, and travel. Steve is a member of the Evansville Bar Association, Indiana State Bar Association, and the National Academy of Elder Law Attorneys (NAELA). Steven T. Charles was born and raised in Evansville, Indiana. He graduated from Harrison High School in 1999. Steven received a B.S. in Computer Science and a Minor in Business from Indiana University in 2003. Steven graduated from Western Michigan - Thomas M. Cooley Law School. Steven was admitted into the Indiana Bar in 2012. Steven and his high school sweetheart, Lindsay, have been married for 13 years. Steven and Lindsay have two sons, Burley and Emory. Steven's hobbies include spending time with family and friends, watching the Indianapolis Colts and Indiana University basketball, fishing, and grilling. 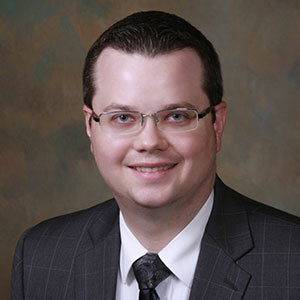 Steven is a member of the Evansville Bar Association and current Co-Chair of the Probate, Elder Law, and Guardianship Section, Indiana State Bar Association, and the National Academy of Elder Law Attorneys (NAELA). Steven is on the Board of Directors and a parent member for Mended Little Hearts of Evansville and he is a member of Green River Kiwanis. Lindsay Blessinger Charles was born and raised in Evansville, Indiana. Lindsay graduated from North High School in 1999. Lindsay graduated from Indiana University Bloomington in 2003, and received B.A. degrees in History and Criminal Justice and Minors in Political Science, Spanish, and Western European Studies. Lindsay graduated from Western Michigan - Thomas M. Cooley Law School and was admitted into the Indiana Bar in 2013. Lindsay is currently a candidate for the LLM Masters of Elder Law degree from Stetson University. As you can see, Steven and Lindsay have the same last name. They are high school sweethearts and have been happily married for 13 years. Steven and Lindsay are proud parents to their sons, Burley and Emory. Lindsay's hobbies include spending time with family and friends, crafts, reading, IU sports, volunteering, and advocating for the elderly and special needs children. 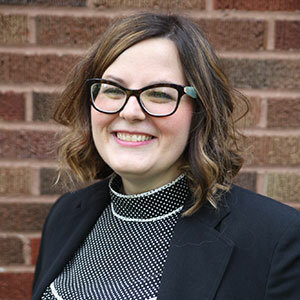 Lindsay is a member of the Evansville Bar Association and current Co-Chair of the Probate, Elder Law, and Guardianship Section, the Indiana State Bar Association, and the National Academy of Elder Law Attorneys (NAELA). Lindsay is a current Board of Director and active member of A Network of Evansville Women (ANEW) and a current Board of Director of VOICES, Inc. Lindsay is the facilitator of the Evansville Gerontology Network and is a member of the Healthcare Education Learning Partners (HELP) Group. Lindsay also serves on the Passionista Comittee with the American Heart Association and is a parent member of Mended Little Hearts of Evansville. Lindsay is a member of the 100 Women Who Care. Lindsay was a member of the Junior League of Evansville for 6 years and a former Board of Director of Little Lambs of Evansville, Inc.